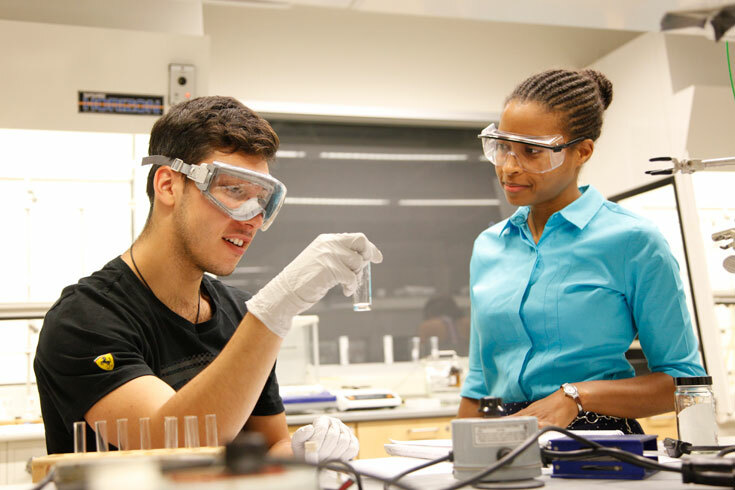 The chemistry department at Brandeis offers our undergraduate and graduate students a world-class education in an intimate setting where faculty and students work closely. 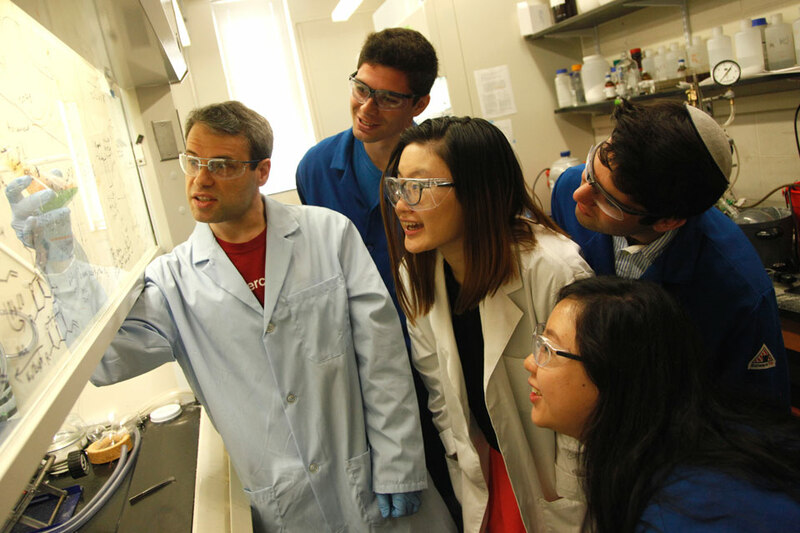 Students join Associate Professor Isaac Krauss to work on some of his award-winning HIV vaccine research. As a chemistry major you'll develop extensive, practical experience through advanced laboratory courses. 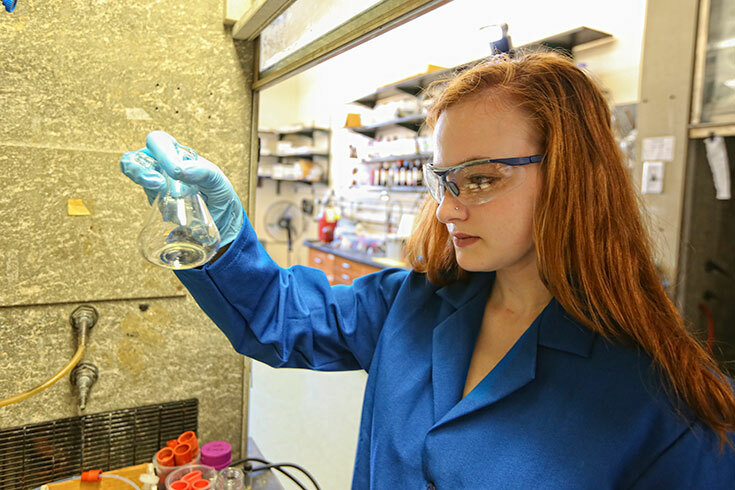 You'll be strongly encouraged to participate in independent research — our award-winning and nationally recognized faculty's research spans the traditional established areas of chemistry (organic chemistry, physical chemistry) and newly emerging interdisciplinary fields such as chemical biology, biophysical chemistry, and materials chemistry. Graduates of our undergraduate and graduate programs are welcomed at the highest-ranking graduate and professional schools, as well as in industry. Our faculty members are as brilliant inside the classroom as they are in the lab and have won awards for both teaching and research. 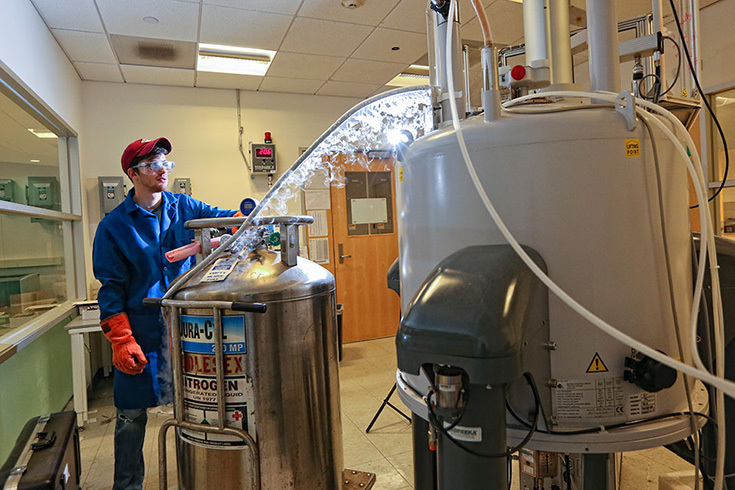 Graduate students in chemistry enjoy the benefits of a top-ranked research university with the mentoring you’d expect from a small institution. We offer majors in both chemistry and chemical biology. 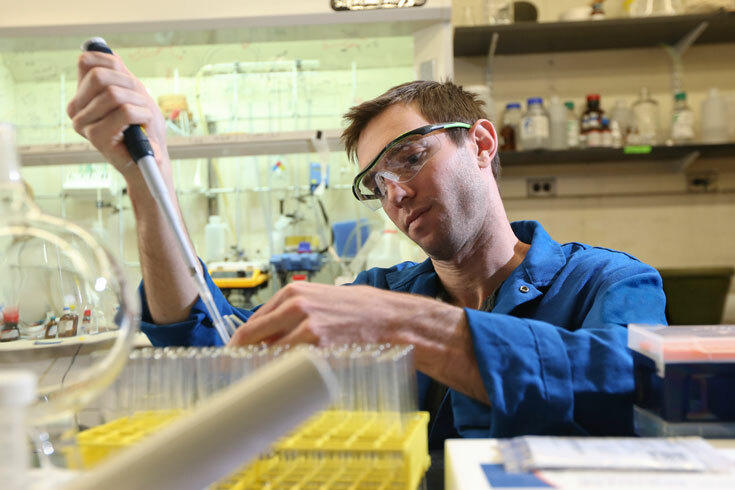 You won’t wait years to conduct scientific research at Brandeis. Many undergraduates publish papers with faculty in the most prestigious journals. Five NMR spectrometers, a Bruker-Nonius Kappa Apex II CCD instrument and two protein crystallography systems are among the tools available to chemistry faculty and students.